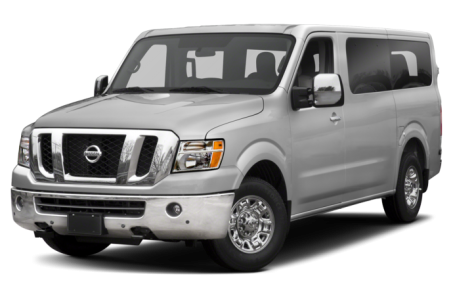 The 2018 Nissan NV Passenger is a commercial van that comes with a V-6 or a V-8 engine. It seats up to 12 passengers across four rows. Three trims are available: the S, SV, and SL.